Wrightsville Beach is North Carolina's most accessible beach so it's easy to find, easy to get to and easily navigable once you're here. 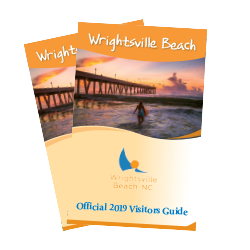 Wrightsville Beach is located 12 miles from Wilmington, which is centrally located on the East Coast, midway between New York and Florida. The major east/west interstate artery I-40 leads to Wilmington, which is also served by U.S. highways 17,74,76, 117 and 421. Follow I-40 East to US-117 S/N College Road. Turn left onto Martin Luther King Jr. Parkway and continue onto Eastwood Road. Continue straight onto US-76 East/Wrightsville Avenue to Wrightsville Beach.